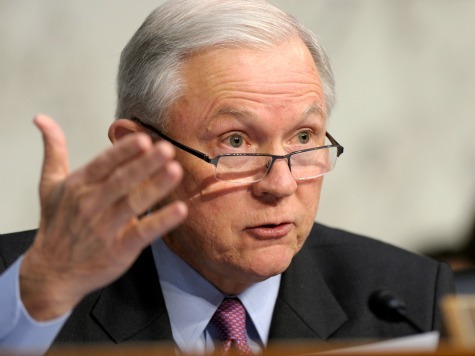 Sen. Jeff Sessions (R-AL) has sent a thought-provoking new memorandum to his GOP colleagues, laying out how the Republican Party can turn the ongoing immigration debate in Congress around so conservatives win and liberals and Democrats lose. Sessions challenges the conventional wisdom and long-held establishment misnomer that Republicans lost the 2012 election because of the Hispanic vote. “The GOP lost the election–as exit polls clearly show–because it hemorrhaged support from middle- and low-income Americans of all backgrounds,” he argues. Sessions argues that what Democrats did in the Senate to pass the “Gang of Eight” bill would “ordinarily” be an “act of political suicide” for them. “It can either deliver President Obama his ultimate legislative triumph–and with it, a crushing hammer blow to working Americans that they will not soon forgive–or it can begin the essential drive to regain the trust of struggling Americans who have turned away,” he said. “Our goal: higher wages, more and better jobs, smaller household bills, and a solemn determination to aid those struggling towards the goal of achieving financial independence,” he said.